Architecture and design are always considered when sheet metal is used in remodeling. 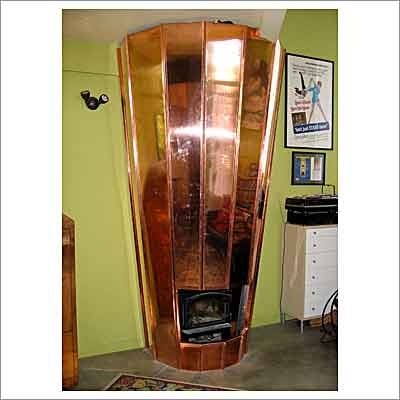 This custom fabricated Copper Pot Belly Stove Shroud is installed in an Oakland, CA home. 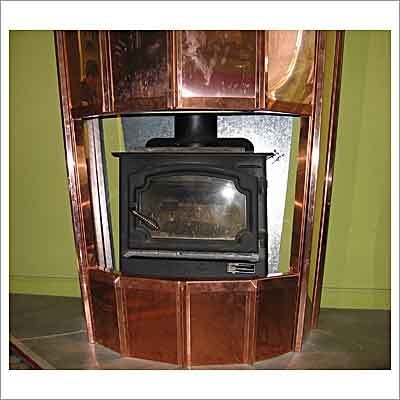 Detail of Copper Pot Belly Stove Shroud. Elegance and charm are always considered at Chris Mast Company. 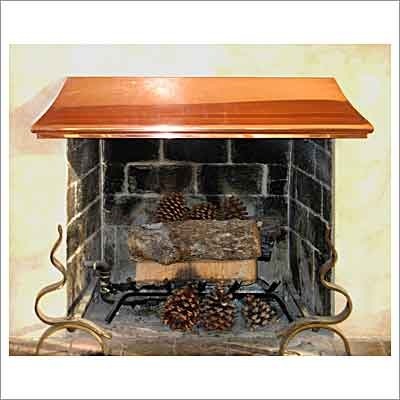 This Fireplace Shroud is installed in a Piedmont, CA home. 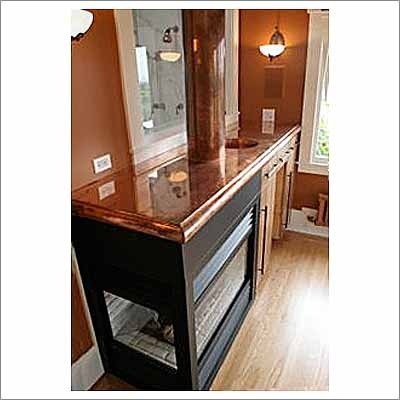 Custom fabricated Copper Counter Top with sink and flue wrapper, installed in a Berkeley, CA residence. 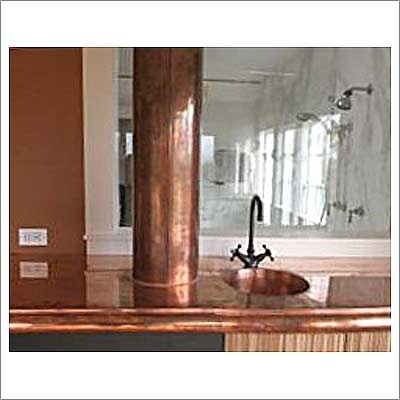 Detail of Copper Counter with sink and flue wrapper. 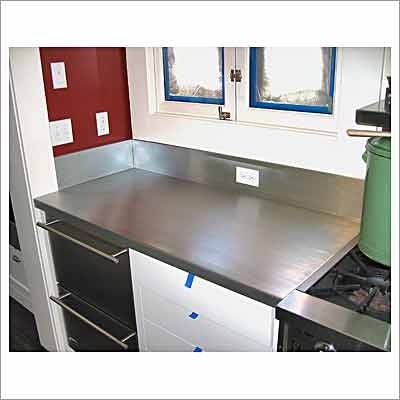 Custom fabricated Zinc Counter Top, installed in a Piedmont, CA kitchen. Zinc products tarnish quickly, as this example shows. Zinc and copper will eventually tarnish evenly, but both metals will show fingerprints, oil, water and glass rings for some time. These effects should always be considered when using zinc and copper. 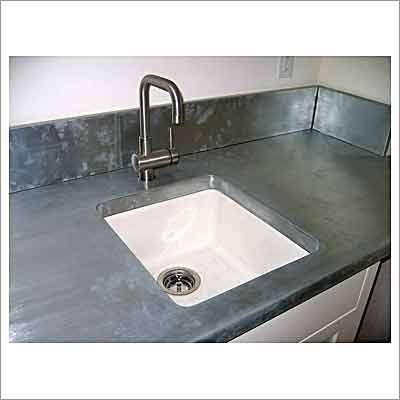 Custom fabricated Zinc Counter Top with a 1-1/2" over-the-sink flange. 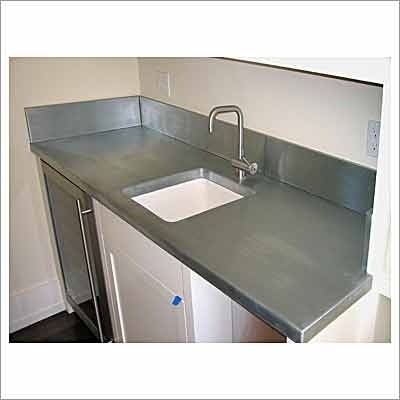 Zinc surfaces can remain clean if maintained daily. 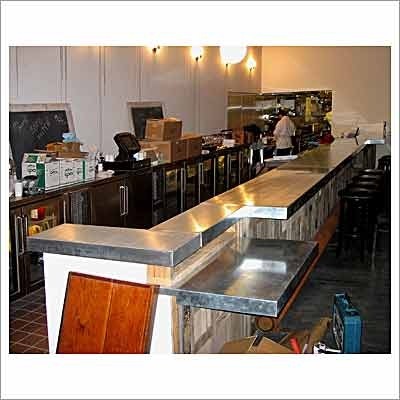 Commercial work: Custom fabricated Zinc Counter Tops, installed in a San Francisco restaurant. 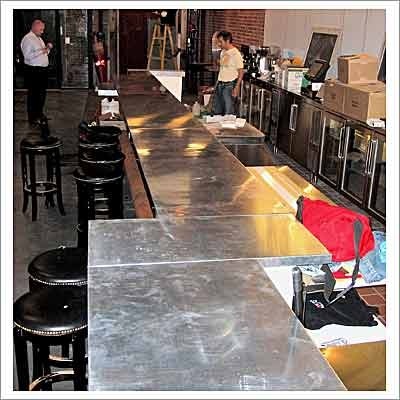 Custom fabricated Zinc Counter Tops, installed in a San Francisco restaurant.